Americans are inundated with credit card offers each and every day. Lenders want you to sign up fast and often for their credit card offers as they entice you with language that can be confusing to understand. While all these credit card offers can certainly make your head spin, there is a way that you can find the best low interest rate credit cards if you are willing to put in a little work. Through some online research and a little effort, you can find the right credit card that will increase your spending power while also offering you a low APR on all your purchases. There are several credit card sites that allow you to search and compare a variety of credit cards available, giving you a quick way to find the best credit card rates in the market today. While there are a ton of credit cards that you can easily sign up for and use, having a low interest rate can actually save you money when you use the card. Interested in finding more options for low rate credit cards? Check out our recommendations! What to Look for With a Low Interest Credit Card? There are a variety of websites that you can use to find credit card offers with low interest rates. You do, however, need to prepare yourself a little bit before you start. You will need to have some personal information ready to fill in these sites’ signup forms. This means that you will have to find your social security number, bank account number (in some cases) and of course your name, address, and phone number. You may also be asked to include information about your employer. So, be sure to have this information ready before you start. It will make things easier and faster to input. These credit sites will not only provide you with a variety of credit cards to select from, but you will also gain information about your personal credit score and history. Your credit score and credit card interest rate go hand-in-hand. Typically, the higher your credit score is, the lower APR you can secure. With a high credit score, you can easily get a credit card with a lower interest rate, but it is important to note that if you have a bad credit score, you can still find a low rate credit card as you work to improve your credit history. Want to know if you can get a loan or a credit card even if you have bad credit? Click here for some useful tips! There are several factors to consider as you look to secure a low interest credit card. According to Nasdaq, the average credit card interest rate in the U.S. is around 17 percent. This, however, does not mean that you are stuck at this rate. Many credit cards offer interest rates that are as low as 8 percent, according to Nasdaq. This can allow you to save more on the purchases you make over time without having to pay high interest fees. You may also want to look for a low interest credit card that offers a zero percent APR for a period of time. This is a great way to make a large purchase without having to pay any interest fees for a predetermined amount of time. Many credit card companies offer zero percent interest for six months to a year as a way to entice you to sign up for their credit card. While this may prove a valuable feature, you need to also understand what your APR will be after the introductory period is over. Always read the fine print and know what you will be paying should you carry a balance over the introductory zero interest rate period. Click here for more of our recommended best ways to save money! Now that you are ready to start looking for a credit card that has a low interest rate, you need to know where the right place to look is. You can easily check the Internet for low credit card rates but, it is easier if you can compare multiple credit cards all at once. Not only will save you time, but it will allow you to make a better choice as to which credit card to signup with. To help, we’ve compiled a list of top credit card comparison sites that can help you, no matter if you have good or bad credit, find a credit card that has the lowest interest rate possible. Plus, many of these sites also offer the ability to transfer balances, putting you in a lower interest rate credit card with ease, also saving you money on your purchases. So, stop delaying and get ready to find out the best low interest credit card for you and your current credit needs. Wondering how credit score is calculated and how you can apply for a credit card or a loan with bad credit? Click here to find out! A great site to check your credit score and find good options for low rate credit cards is Credit Sesame. By signing up through its website, you can instantly see your credit score for free and make some good choices about securing a credit card that has a low monthly APR. Credit Sesame looks at your credit rating and gives smart pointers on how to improve your credit rating if you are not happy with it. Using a series of charts and graphs, you can see how you can improve your credit score over time. Once you have obtained your credit score, you are given a range of credit cards that can help you increase your credit score if you manage your spending properly. The site lists a range of low rate credit cards side-by-side that you can sign up for directly on the site. With Credit Sesame, you will also receive alerts via text messages to identify you when something is added to your credit report, helping you to keep your APR low and your credit score in the best condition. When you use Credit Sesame, you also have the option to sign up for its premium plan that does cost a monthly fee. But, if you are concerned about your credit score, it may be the best way to go. This site is a great option for someone looking to clean up their credit score while also trying to find a credit card that offers the lowest interest rate possible. The site also offers free identity theft protection and credit monitoring for even more security. Click here to open a free account with Credit Sesame and to get your credit score and start monitoring your credit! If your credit is less than stellar, you don’t have to despair as you do have options to secure a credit card loan. BadCreditLoans.com specializes in helping consumers secure credit cards that have bad credit. This site lets you choose from a range of options for your lending needs. By signing up with the site, you can easily get matched up with some low rate credit card loans that will work for you. BadCreditLoans.com requires you to fill out some simple personal data such as your name, address, employer and social security number. Once this information is inputted in the signup form, you can direct the amount of money you need to borrow right into your bank account. You simply add your banking account routing number, and the rest is taken care of by BadCreditLoans.com. The site is available 24/7 making it possible to borrow money when you need it the most. You can consolidate loans, or even get emergency funds by choosing the lowest rate that works for you. You even have the option to choose a secured credit card, prepaid credit card or debit card to cover the purchases you need to make immediately. BadCreditLoans.com is a good site for those that have less than perfect credit as you are in control of choosing a credit card that works for your needs and spending habits. Check out BadCreditLoans.com today to start comparing loan options and get matched with the right lender for you. If you are looking for a quick and convenient place to compare a range of credit cards in one simple search, you’ll want to head on over to CreditCards.com. This site can find you a credit card with low interest rates by taking into account your current credit rating. You simply enter in your current credit rating and choose between “all cards” or a personalized match. The “all cards” option will allow you to see all the credit card offers that are within your credit rating, letting you choose the best option for you. The personal match option gives you an even more customized approach to finding a low interest credit card as you have to input your personal information. This can match you up with the right credit card that you will get approved for based on your credit score. CreditCards.com is a good option to find low interest credit cards that can easily match with your current credit scores. It is a straightforward site and easy to use too. Click here to sign up for CreditCards.com and find the best low interest rate credit cards that match your credit score! Credit Karma is another site where you can check your credit score and find low interest rate credit cards. By signing up with the site, you can compare a range of credit card offers through the Credit Karma marketplace. You don’t have to worry about affecting your credit score by using the site as it promises that it won’t make an impact on your credit report in any way. You also have the option to compare loans, as well as low rate credit cards, so you decide what type of spending power you need most. With a side-by-side comparison, you can easily see what credit card has the lowest APR and will provide you with the best way to shop. Credit Karma also provides credit monitoring so you can see how your credit score is doing over time. It will alert you when there has been an important change to your credit report, so you can stay on top of your credit score. The site also personalizes your experience by providing you with ways to improve your credit score as well as handy charts and graphs that show you where you are with your current credit rating. You can also find out if you have any outstanding money that is owed to you from the site by simply inputting some simple personal information. With a quick search, the site can locate money that you are currently missing out on. You’ll find that Credit Karma is the ideal site to keep an eye on your credit score as well as look for low interest rate credit cards. Through this site, you’ll understand exactly how to lower credit card interest rate by improving your total credit history. Sign up for Credit Karma today to check your credit score and get personalized tips on how to improve your score and what credit cards are best or you! With Credible, you can easily consolidate your credit card debt or lower your interest rate with a new credit card. The site works by having you fill out some quick personal information. The information is populated into the site and in just minutes returns results for low rate credit cards. These credit cards are provided from as many as 10 plus lenders, offering you the ability to select which one is best for your spending needs. Plus, Credible offers online assistance that can walk you through the process and help you make a solid decision on your loan. With Credible, you will find that you are in control of your spending as you have the ability to read reviews about the credit cards you are looking to sign up with. The site also gives you detailed information on what each credit card offers beyond just interest rate. If you are looking to earn points or cash back, you can certainly find a credit card with these requirements through the site. Credible is a great site for students or other consumers, looking to a have a more personalized experience when they are looking for a credit card. The site is committed to finding you a loan, refinancing, or the best low interest rate credit cards that you can use without regret. Not only will this save you money in the long run, but it can help you improve your credit score if you pay your amount due on a timely basis. Sign up for Credible today to get matched with up to eight lenders or check your loan rates without impacting your credit score. Just by looking at the right websites, you can not only find the best low interest credit cards, you can monitor your credit score at the same time. One of the easiest ways to ensure you have the best APR for the credit card you are signing up for is to keep a watchful eye on your credit score. But as you can see, even with a bad credit rating you can secure a credit card that has a low interest rate, which can save you money as you use the card on your daily purchases. 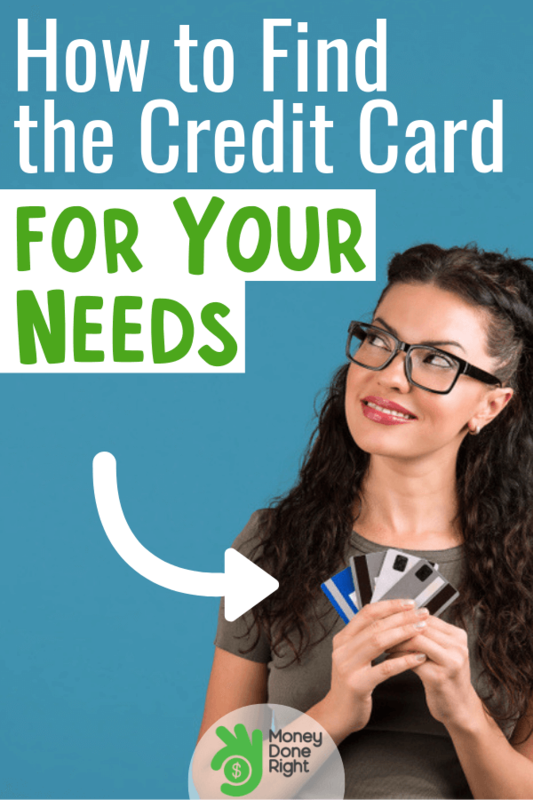 No matter if you are using your credit card for emergency purchases, debt consolidation, or for added spending power, you do have choices when it comes to selecting a credit card. You don’t have to pay a high interest rate when you use these sites to compare credit card offers that have been customized just for you. Click here to see what credit cards we recommend for having the best perks and rewards! Have you ever tried one of our recommended services? Do you have any other questions about how these programs work? We’d love to hear from you, so feel free to share your thoughts in a comment below!